There are situations in which the recommended upgrade procedure does not or cannot work. Typically, this is because there is something wrong with the existing Linux installation. Changing the default configuration and installing packages that take up too much space may cause the installation to become unstable. This procedure uses U-Boot, something similar to the BIOS on a PC. U-Boot is a very small program executed right after you power on a Yún. With U-Boot you can restore a Yún to its factory settings. To reflash the Yún from the U-Boot prompt, you will download 3 different image files and write their contents on the flash memory of the Yún, erasing all previously stored information. It's a bit like formatting a computer's hard drive. This should be considered an advanced topic, pay heed to the warnings throughout. These notes are for reference only. You should read and understand this document before trying anything mentioned below. Download the base images zip file. Extract the three files (uboot, kernel, rootfs). For U-Boot to download the 3 files from your computer to the Yún, you first need to setup a TFTP server on your computer. 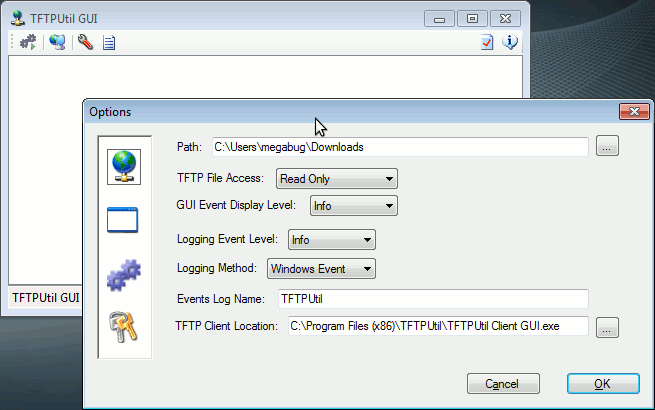 Download and install TFTP Utility from http://sourceforge.net/projects/tftputil/. You can access hidden directories like /private/ by using the Go To Folder option in the Go menu of the taskbar. In this instance, click on 'Go To Folder'' and enter /private/tftpboot/ to open the directory in the Finder. Connect your Yún to your computer with a USB cable. Then connect the Yún to your router or your computer with a wired Ethernet cable. This is crucial: you cannot reflash via wifi. Open the Arduino IDE and upload the YunSerialTerminal example to your Yún. The ar7240> is U-Boot prompt. If you don't hit enter at the right time, and don't enter U-Boot, press the YUN RST button once more and retry until you get U-Boot prompt. Once inside U-Boot, you need to tell it your computer's IP address and the IP address for the Yún. Find the IP for your computer, and choose a unique address for the the Yún. If you're on a home network, you probably won't have any issues assigning something in the appropriate range (if you're in a network full of computers, you first need to ensure the IP address you'll assign to the Yún is not already used by someone else). The Yún is now ready for reflashing. Reflashing U-Boot is a last option. These commands are only a reference. 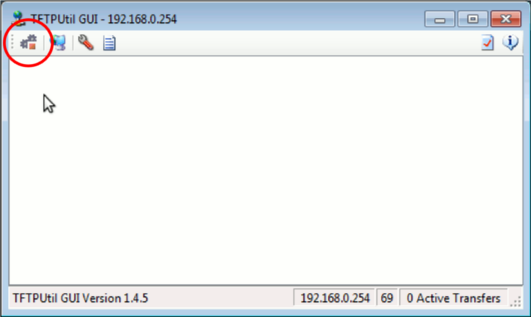 If it takes a long time to see the prompt ar7240> again, it means that you have used the wrong IP address for the Yún or your computer, your TFTP server is not running, or the Ethernet cable between the computer and Yún is not properly connected. Check these variables, and start over by pressing the YUN RST button. OpenWrt-Yun will now start its boot process. Wait a couple of minutes (first boot is always slightly slower) and enjoy your freshly reflashed Yún.